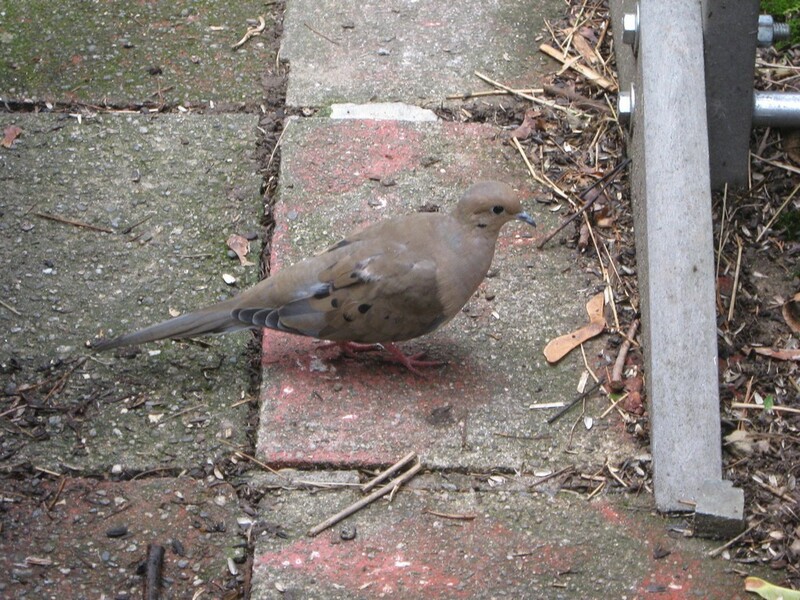 When I went out in the yard, I was impressed by how boldly this Mourning dove walked right up to me. It’s even bolder than it’s cousin the pigeon. After all, it knows I’m not a cat. Maybe it thinks I’ll be intimidated by its feathered dinosaur ancestors. But most likely, it knows I’m the one who feeds the feeders and it’s waiting for me to get out of its way.